The generous superyacht ALLEGRA is a motor yacht. 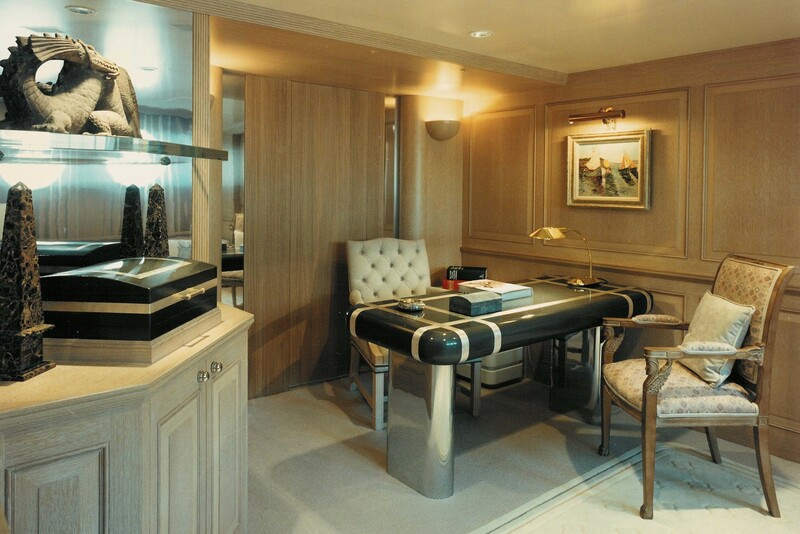 This 42 metre (137 foot) luxury yacht was produced at The Feadship De Vries Shipyard in 1989. ALLEGRA was previously called Faribana; Faribana M. Superyacht ALLEGRA is a nicely styled yacht that can sleep a total of 10 people on board and has a total of 7 qualified crew. This balanced boat was created with a naval architect called De Voogt Naval Architects. Terence Disdale Design acted on the interior design. The yacht's wider design collaboration came from De Voogt Naval Architects. 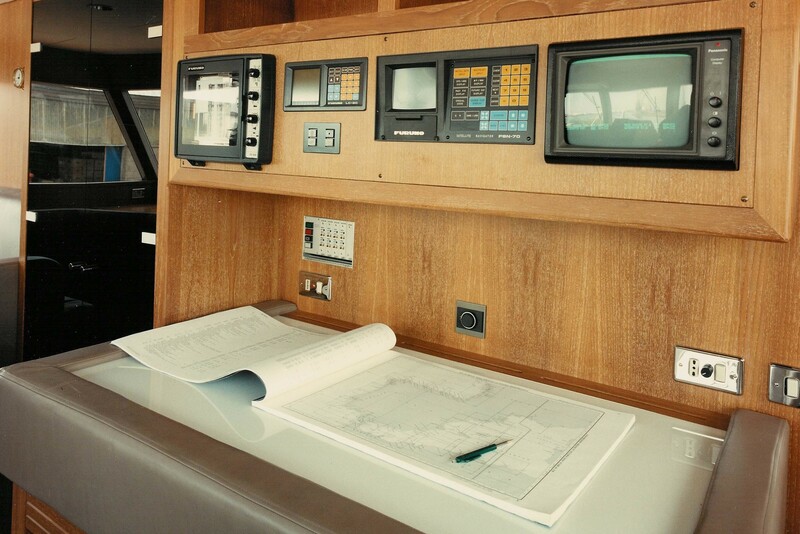 The professional naval architecture plans are the work of De Voogt Naval Architects. 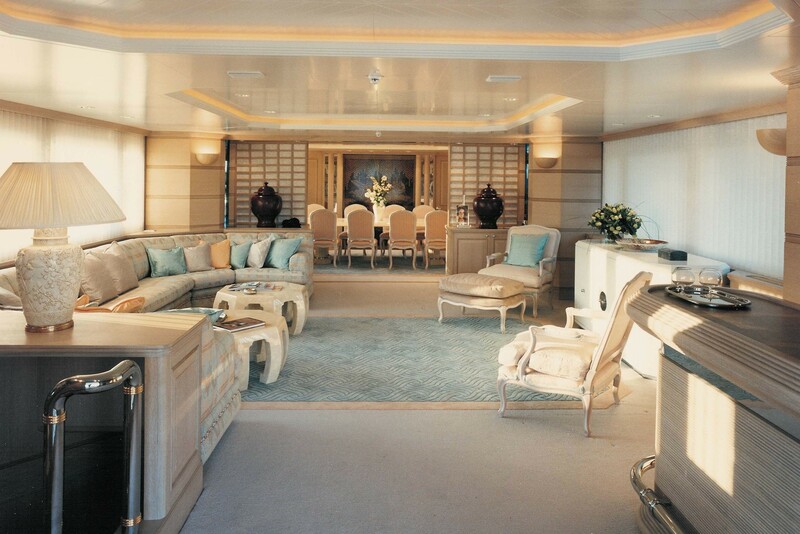 Motor Yacht ALLEGRA received her elegant interior designing from the interior design office of Terence Disdale Design. 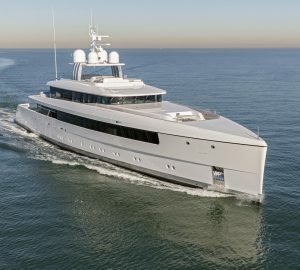 Created at The Feadship De Vries Shipyard the vessel was fabricated in the Netherlands. She was successfully launched in Aalsmeer in 1989 before being transferred to the owner. A spacious feeling is brought about with a widest beam (width) of 8.29 m / 27.2 feet. With a 2.93m (9.6ft) draught (maximum depth) she is fairly shallow. The material steel was used in the building of the hull of the motor yacht. Her superstructure over the hull is built from aluminium. She sustains twin reliable CATERPILLAR main engine(s) and can touch a impressive top continuous speed at 14 knots. The engine of the ALLEGRA generates 775 horse power (or 570 kilowatts). Her total HP is 1550 HP and her total Kilowatts are 1141. For propulsion ALLEGRA has twin screw propellers. 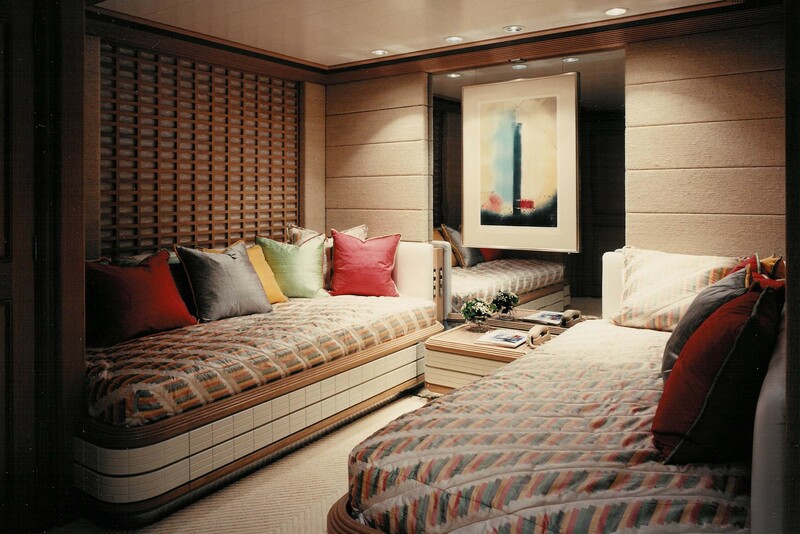 Having quarters for a limit of 10 visiting passengers overnighting, the ALLEGRA accommodates everyone comfortably. She also uses approximately 7 expert qualified crew to maintain and sail. Her Engine(s) is two 775 Horse Power or 570 kW Caterpillar. The Model type is 3508 DITA diesel. Total engine power output 1550 HP /1141 KW. The yacht was built with Heinen & Hopman air con. Her deck material is predominantly a teak deck.